Frederick Ewens was born in Yeovil in 1846, the eldest son of glove cutter Edward Ewens of Yeovil and Sarah née Pardy. Both Frederick and his younger brother Edward were to become influential glove manufacturers. In the 1861 census Frederick was living with his parents and siblings in Park Street and gave his occupation as a glove cutter. In 1867, at Yeovil, he married Selina Arnold. By 1871 he was living in Reckleford with Selina and at this time gave his occupation as a foreman glove cutter while Selina gave her occupation as a glover. By 1881 Frederick was living in South Street with his brother Edward and his family but Selina was living in Hendford (in fact Frederick and Selina were involved in divorce proceedings in 1880 on the grounds of her alleged adultery, however it seems from the Final Decree that Frederick's petition was dismissed, so presumably he and Selina remained separated, rather than divorced, until her death - thanks to Sarah Cobbold for this snippet). Frederick's occupation was still listed as foreman glove cutter. The above photograph is an enlargement from the group photograph below. 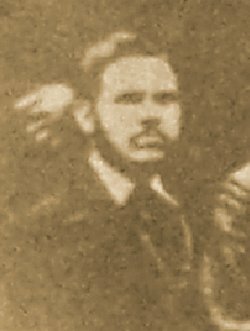 It shows Frederick Ewens around 1878, when he was aged about 32. It is almost certain, although not proven, that Frederick was a partner in the firm of Ewens & Gould who purchased a glove factory in South Street, together with Park Street House which had been the home of glove manufacturer William Fooks. Ewens & Gould purchased the factory and house by auction in 1882 but the company were only listed in Kelly's trade directories between 1889 and 1894. Selina died in 1886 and the following year, at Merthyr Tydfil, Frederick married Fanny Maria Bannister of Derbyshire. Frederick and Fanny were to have five children; Frederick Joseph born 1888, Gertrude born 1890, Russell born 1892, Gilbert born 1895 and Arthur born 1897. During the 1880s Frederick's circumstances improved to the extent that by the time of the 1891 census he and Fanny, together with their children Frederick and Gertrude, were living in Penn Grove House, a large eight-roomed house on Penn Hill, photographed below, and Frederick listed his occupation as a glove manufacturer. Frederick and Fanny remained in Penn Grove House and the census returns of 1901 and 1911 were all but identical to that of 1891. Frederick died in 1914, aged 68, and his gloving business was taken over by his eldest and youngest sons, Frederick Joseph and Arthur. Arthur later went into partnership in the company of Ewens & Vickery, who were listed in trade directories certainly between 1935 and 1964. 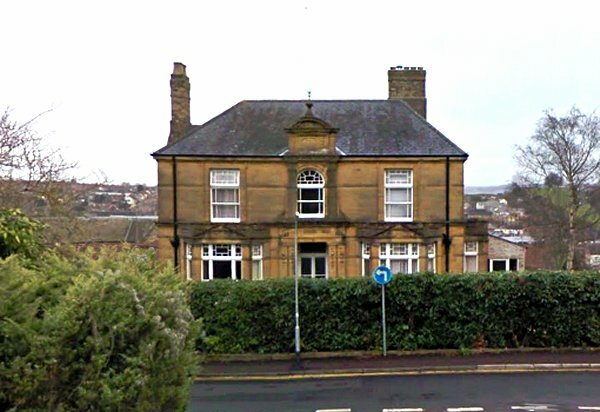 Penn Grove House, Penn Hill, the home of Frederick Ewens from the late 1880s until his death in 1914. The house was purchased by WF 'Fred' Banfield in the 1950s. Photographed in 2014. 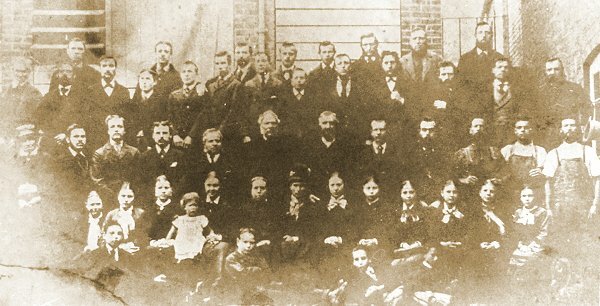 Staff of the Richard Ewens manufactory and Ewens family members, most likely at the Mill Lane site, gather for a group photograph about 1878. Those whose names are known are highlighted in the following photo. Frederick Ewens is number 13. 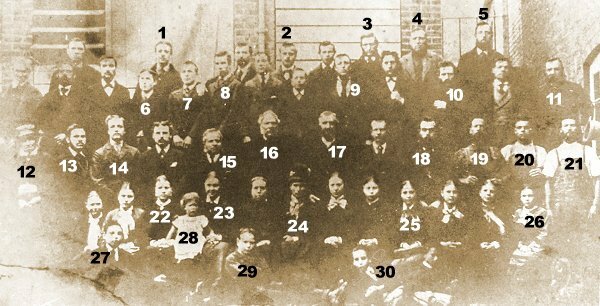 28 = Edward William Ewens, 29 = F Batty, 30 = F Bicknell.